This is a Italian cruise ship so there are many language spoke on broad. Even the cruise director know how to speak 6 different languages. The food is so so and the cruise members are not really friendly. They changed their route with out letting me know from Honduras to Jamica. I was disappointed . The one thing I missed was having our bed turned down and having fresh towels at night. First time on Costa and most likely the last. was overall ok, glad we had a balcony room. Just don't have a high expectation. The cost was fairly cheap so we didn't expect 4 start treatment. The whole exp was decent. Versus prior trips on Costa the reduction in services and on board options was very apparent. Sad to see them reduce their appeal. The "brindiamo" package left a lot to be desired -- wine selections were few and beer selection (draft only limited to Heineken or Carlsberg) was poor -- no craft beers included (ie, IPAs, Maibocks, Porters, etc). But the people made the difference. The professionalism, friendliness, spontaneity, smiles, assistance offered were absolutely exceptional. I would easily return if only for the people. Great ship for Italians, but not so for people who do not speak Italian. I would do it again! I recommend getting a beverage package. The room with a balcony was spacious. It is an Italian owned ship so some things are not in English. You must like seafood and pasta to enjoy the food. The European passengers are rude. They are not very polite or courteous. 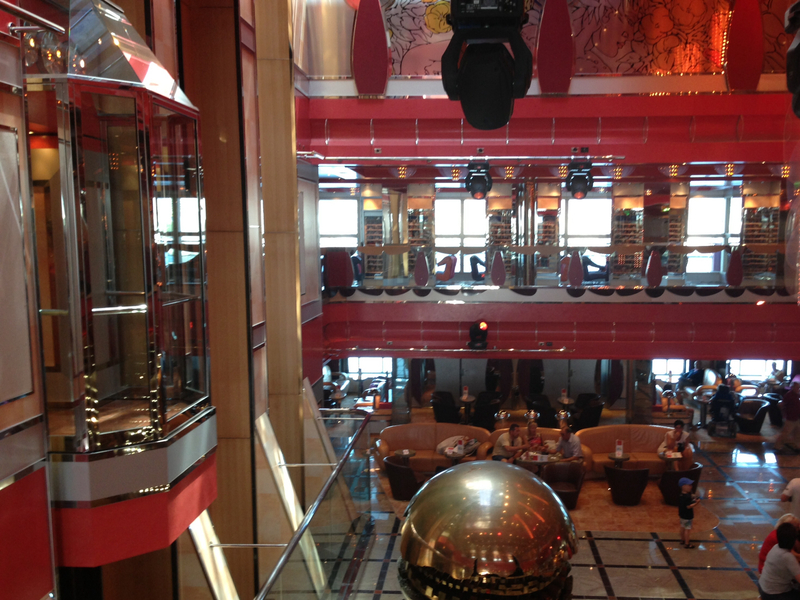 The ship is huge, amazing, clean, well run and I recommend getting a spa package. I can’t wait to go again. If I was the CEO of cheap cruises I would delete it from your site. And protect your rep.
We enjoyed our cruise but while in vacation, we did not appreciate having to ask everyday for something missing in the room. We have been on 14 cruises up to now and it is the first time the room service is unsatisfactory. It was nice to have a lot of European people on the board!!! There are people from many European and Asian countries on the cruise, but announcements were made in 5 languages succinctly and quickly, not a problem! There were long lines at the hospitality desk almost all of the time. The people working at the desk were patient. Maybe having money changing in a different area or more desk workers would be helpful. I stood in line for 1/2 hour to recover my purse which I had left at the table and knew that a woman had taken it to the desk. People seemed patient, but such long waits don't make for goodwill. 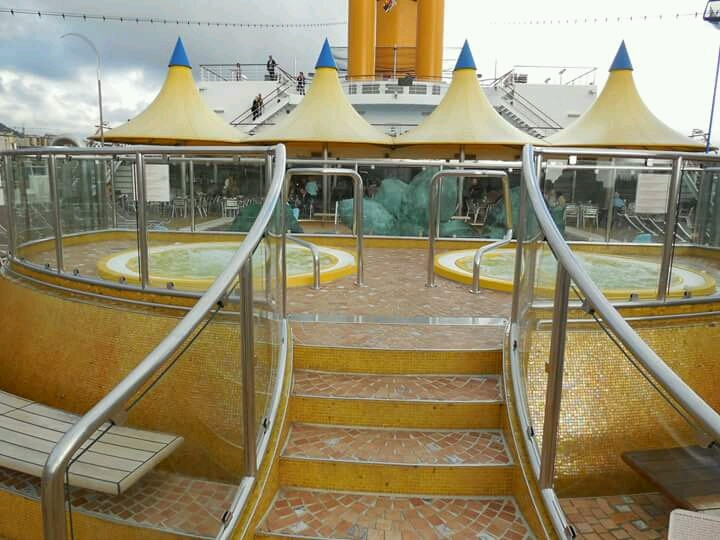 Our initial expectations were not met because Costa has cut back on what we initially experienced several years ago -- fewer musicians, no piano bar, apparent reduction in personnel in bar and other services. But the people were excellent and so nice, friendly. Our dinner waiter and several of the "bar" staff exceeded expectations. The Hospitality/Service Personnel were absolutely fantastic. The people were the hightlight of the cruise. Overall very good cruise experience. Nice staff and good dood. This was my first experience with Costa. I am a frequent cruiser and have experienced other cruise lines. This was the worst cruise experience I have ever had. I will never sail with Costa again. Skip Costa unless the itinerary is unique. This was our 2nd time on Costa and we were constantly reminded why it has been over 15 years since our last time. Extremely disappointed. They changed itinerary under the pretence of dangerous weather however, I not anyone else we meet could find any weather report to support the claim. Additional passengers got on ship the d day after we were suppose to set sail. We were credited 100 Euros for our disappointment. Really!! We traveled further than most passengers. Ruined honeymoon. Costa never again. Untrust worthy company.